San Francisco Award Program winner producing Kona coffee pods adds a sampler pack of 100% Kona coffee pods available for purchase on Overstock or on Pooki’s Mahi. Les and Pooki’s Mahi hit a home run with the packaging and final Kona coffee pods promotional products. Simple, modern, clean. I’m always looking for brands that “get it” when it comes to messaging and merchandising their products. Silicon Valley Kona coffee pods wholesale distributor startup Pooki’s Mahi announced it will soon ship a variety pack of 100 percent Kona coffees; new customers will sample and become more familiar with the four different Kona coffee pods including the highly prized 100% Kona Peaberry coffee pods. 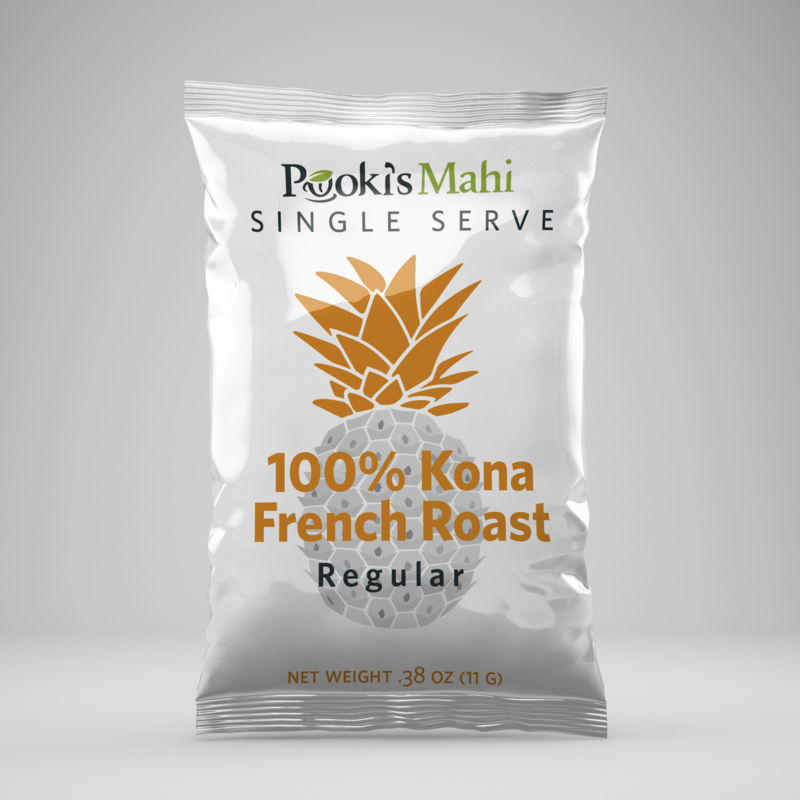 Pooki’s Mahi currently ships five different 100% Kona coffee pods: Decaf Kona coffee single serves, Kona coffee Estate Extra Fancy, Kona coffee French Roast pods, Kona coffee medium roast, and Kona Peaberry coffee. Pooki’s Mahi’s sampler of 100% Kona coffee pods will be available on select retailers. 1. Limited Edition available on Overstock.com or on Pooki’s Mahi. 2. One (1) box contains 24 individually wrapped caffeinated Kona coffee pods. 3. Six (6) each of Kona coffee French Roast, Kona coffee Estate Extra Fancy, Kona coffee medium roast, and Kona Peaberry coffee. 4. Save 15% with a wholesale account. 5. Customers from marketplace platforms like Amazon will pay $54.99 per shipment. The added price covers monitoring product listings and ensure resellers are selling at the universally agreed MAP (Manufactured Approved Price) price of $47.99. 6. 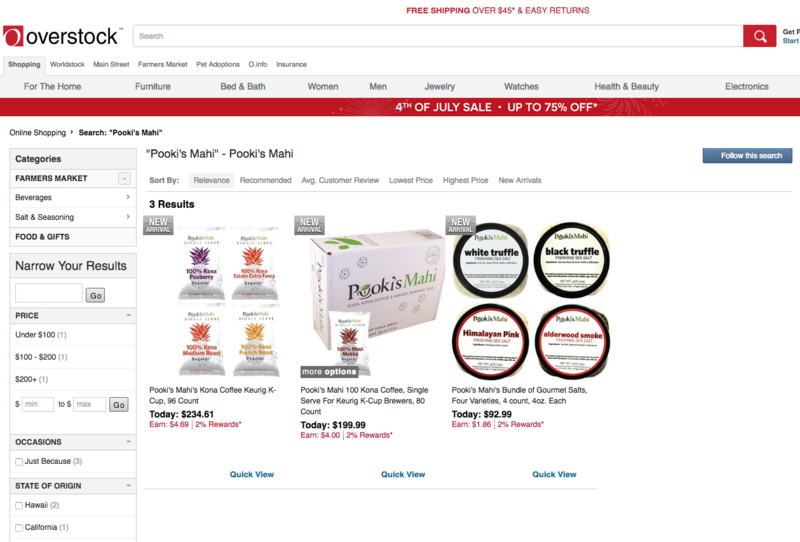 Approved resellers like Overstock sell unique bulk bundles and are exempt from pricing scrutiny from Pooki’s Mahi’s wholesale team. 7. Complimentary two to three day shipping to the Lower 48 states (US only) included. 8. 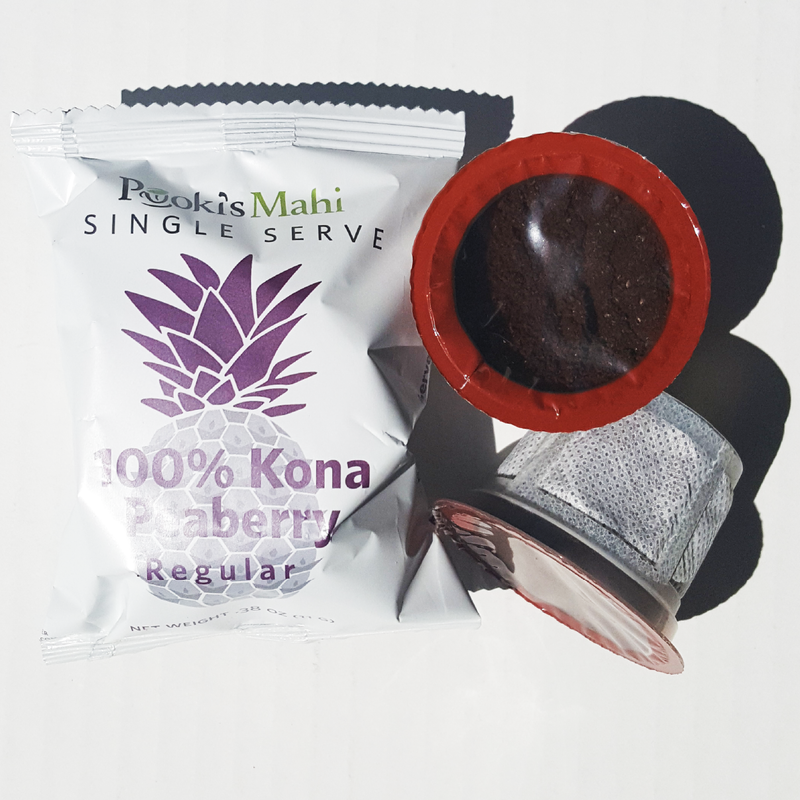 Pooki’s Mahi’s Kona coffee pods are compatible in single serve coffee 1.0 and 2.0 brewers. Silicon Valley high tech exec Les Magsalay-Zeller explains, “Pooki’s Mahi’s customers fall into two different groups. In the first group customers who are familiar with artisanal high end Kona coffee pods readily purchase Pooki’s Mahi’s Kona coffee pods because it is value priced. The second group consist of customers are those who are price sensitive, not familiar with high quality Kona coffees, the different 100% Kona coffees and lack the understanding that Kona coffee blends are not the same as 100% Kona coffees. 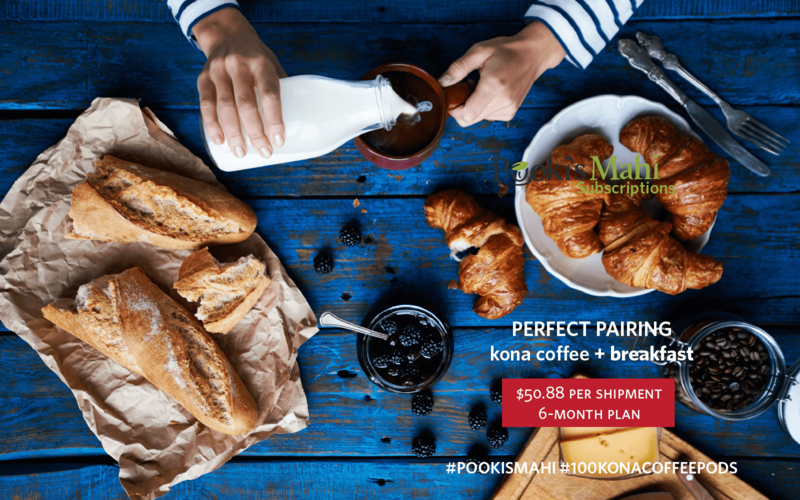 Pooki’s Mahi is a Silicon Valley-based manufacturer, distributor and etailer offering award-winning 100% Kona coffee pods, 100% Hawaiian coffee single serves and 100% Kona Decaf coffee pods at wholesale and bulk prices. Since its online launch in 2013, Pooki’s Mahi products have been a favorite of customers, charities, celebrities and athletes and have been featured at red carpet events including Celebrity Gift Suites and Celebrity Poker tournaments. The products have been endorsed by many celebrities and athletes and seen on several television shows. Pooki’s Mahi’s mission is to revolutionize the supply chain ecosystem in bringing the highest quality Kona coffees into the market in a sustainable format. Hawaiian coffees are harvested/roasted in Hawaii, cup manufactured in US and distributed to the several fulfillment centers in the US.